De Haan, E. & Kasozi, A. In today’s fast paced, interconnected, and mercilessly competitive business world, senior executives have to push themselves and others hard. Paradoxically, to succeed as leaders, they also need to relate to others very well. Under stress and challenge, the qualities executives have relied on to get them to the top and to achieve outstanding results can overshoot into unhelpful drives that lead to business and personal catastrophes. 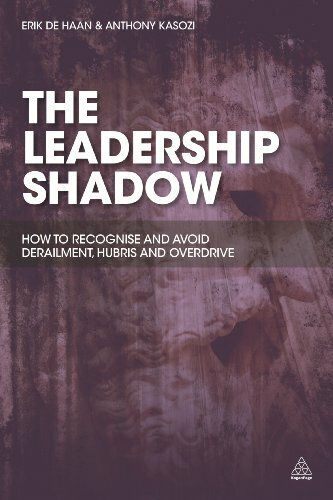 The Leadership Shadow draws on the lived experience of executives to make sense of what actually happens when their drivers overshoot and they act out the dark side of leadership. It shows how executives can find stability in the face of uncertainty, resilience in the face of gruelling demand, and psychological equilibrium as a leader in the face of turbulence. “Much of the literature seems to suggest that only people with superhuman powers can be effective leaders. No wonder we end up disappointed in so many of them, and no wonder many leaders fall prey to hubris, or worse.